Voice Bots: Most Human Computers We’ve Ever Had. Also: The Cheapest Computers We’ve Ever Had. Hit Play to listen to the Article. The most reliable way to determine if an entity can be deemed artificially intelligent is through Turing Test. It involves computers being able to consistently “fool” human testers into believing that they are talking to a human through a conversational messaging interface. The idea is that the use of language is the most advanced use of human intelligence and if computers can do that as good as a human, they should be considered intelligent. Alan Turing proposed the chat setup to take out the visual aspect so machines don’t have to look like humans to be considered intelligent. There’s a reason we place so much importance on language. Language happens to be the most nuanced way we can produce and transfer information. We are really, really good at it. It’s what makes us human. We can express abstract concepts or convey variety of information by changing our tone, choice of words, pitch etc. We spend years perfecting the use of language but until recently, our computers were too basic to understand even simple natural language instructions. Computers may not be sentient yet. Though today they can be taught to understand natural language using machine learning, with trained artificial neural nets. If you want to dive deeper into this new technology, you can read my “Learning at Scale & The End of ‘If-Then’ Logic” article. In short, thanks to rapid standardization in deep learning technology, powered by cheap cloud computing we are seeing massive growth of a new interactive software medium: voice bots. Bots are applications with a conversational, natural language interface. Bots interact like humans and since we already know natural language, there is no learning curve to use them for us. You interact with a bot like you’d interact with a fellow human. Talking to bots using voice is a very “human” experience. It feels as if you’re talking to someone over the phone. You hear the voice and your mind imagines the rest. A large group of Alexa users reported that they like to say “Thank you, Alexa” after Alexa completes a task. 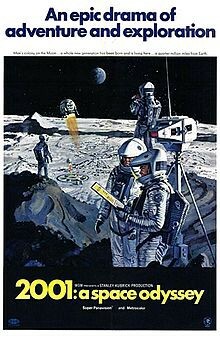 In 1968, Stanley Kubrick in his epic film 2001: A Space Odyssey, portrayed human interaction with the super intelligence alien AI — HAL 9000 — only through voice. Because that’s all that we need. Today, the competition to rule the AI assistant landscape is bringing down cost of these AI enabled devices. This is great for both consumers and applied machine learning developers. Both Amazon and Google offer voice assistant devices for less than $50 USD. Amazon was first to enter the market, though Google enjoys the advantage of having 2 billion Android devices already in use. In the most latest Android versions, Google Assistant is almost indistinguishable from the core operating system. Take a look at the chart below. 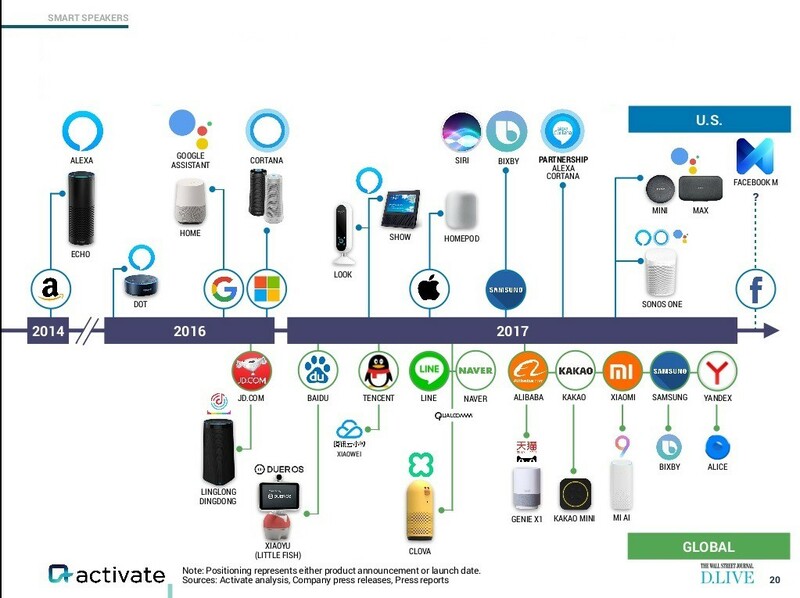 Notice the number of competing voice bot platforms that launched this year via tech-giants from almost all segments of the tech industry. Voice enabled bots reside in a medium with no competition from traditional websites or apps, hence the opportunity for innovation in this medium is comparable to the early days of mobile app market. Some use cases of voice bots are obvious like setting up reminders, alarms and meetings or getting news updates in the morning. As applied deep learning tech continues to progress, we will do increasingly complex tasks using our voices in the coming future. Already, I can name dozens of tasks that I do using voice bots, which I used to do using a screen in the past. When done correctly, using voice is much more efficient and faster than clicking or typing. Here’s a video about saving time using voice bots. I used Google Assistant to demonstrate the effect, but the tasks work just as well with Alexa. Saving 4 minutes using my voice. *Disclaimer: I am one of the founders behind task #4. If you are interested in learning more about my work with AI/ML, check out www.Archie.AI — The Artificially Intelligent Data Scientist. If you are interested in building bots, we have tons of video workshops on AI/ML and how to build bots on our YouTube Page.